UT Southwestern’s family medicine physicians, part of the UT Southwestern Medical Group, integrate state-of-the-art clinical and research resources with a comprehensive focus on health. Our goal is to provide families and individuals, from newborns to seniors, with the best medical care available for every stage of life. Our physicians and health care professionals will always take time to address your health concerns and answer your questions. 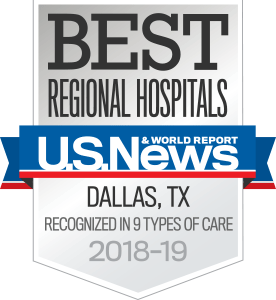 The UT Southwestern Family Medicine Clinic at Texas Health Dallas provides care for families and individuals of all ages, from wellness education, immunizations, and screenings to acute and chronic disease management. As a full-service practice, we don't just treat illness; we're also focused on preventive medicine and procedures to ensure that good health is maintained and disease is kept at bay. If specialty care is needed, our physicians will provide a referral while continuing to manage your overall care. Our style of care is different from the traditional doctor-patient relationship. We want you to be an active participant in planning and managing your health care. As partners in your care, we'll share our medical expertise with you and we hope you'll take the responsibility to make healthy lifestyle choices. The UT Southwestern Family Medicine Clinic at Texas Health Dallas is also a training facility for family medicine residents. Physicians in training are under the direct supervision of a senior physician. Our mission is to provide an environment that encourages the development of the cognitive, clinical, and procedural skills essential to cultivating a successful and productive career as a family medicine physician. The Family Medicine clinic is located in Professional Office Building 5, on the south side of Texas Health Dallas’ main campus, at the corner of Twin Hills Lane and Fogelson Lane. Free parking is available in lot 16 directly in front of Texas Health Resources University.